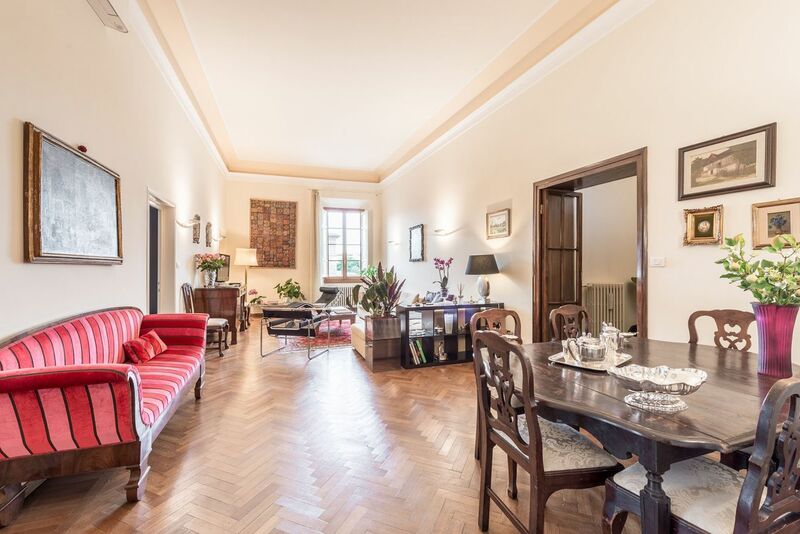 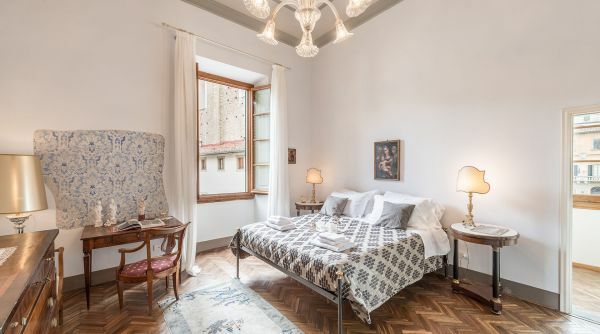 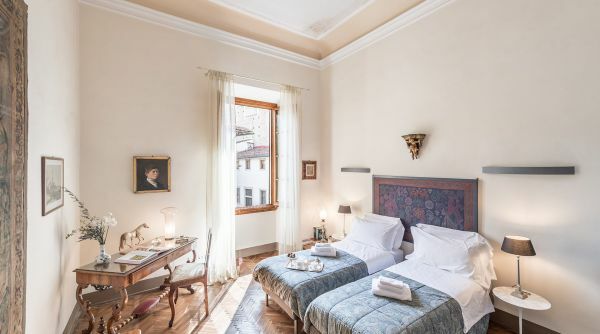 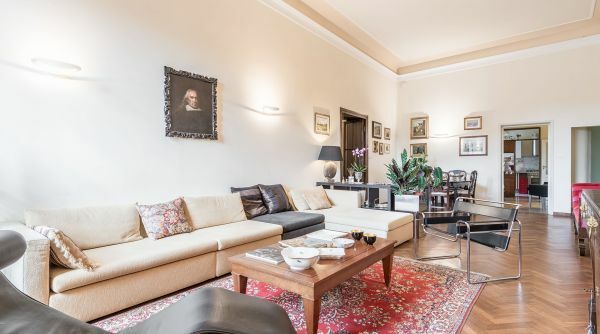 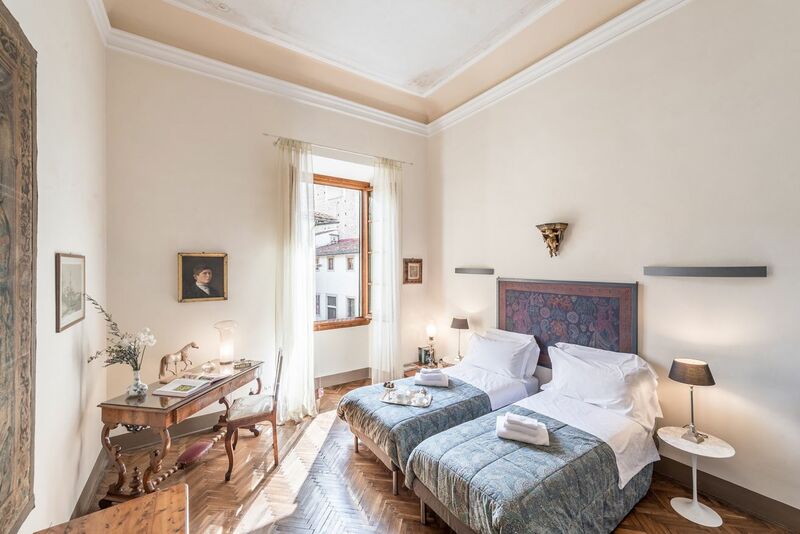 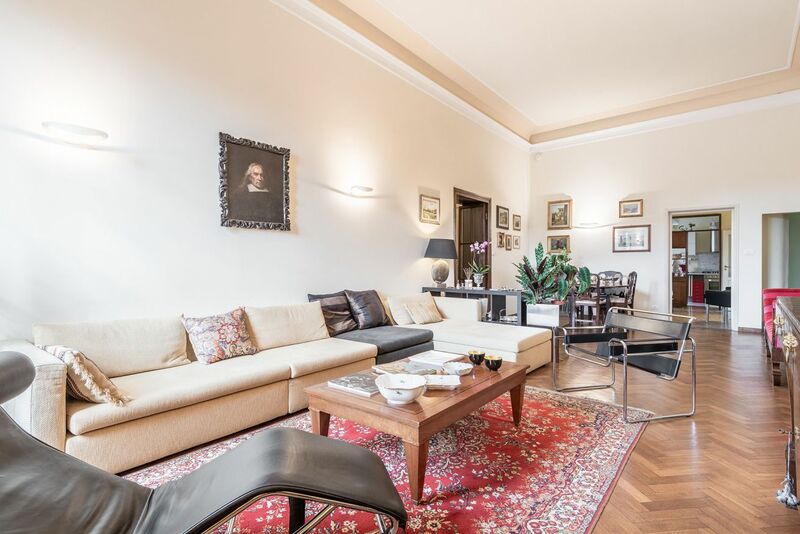 Prestigious and spacious apartment in the heart of Florence in a Renaissance palace overlooking the beautiful Piazza del Carmine. 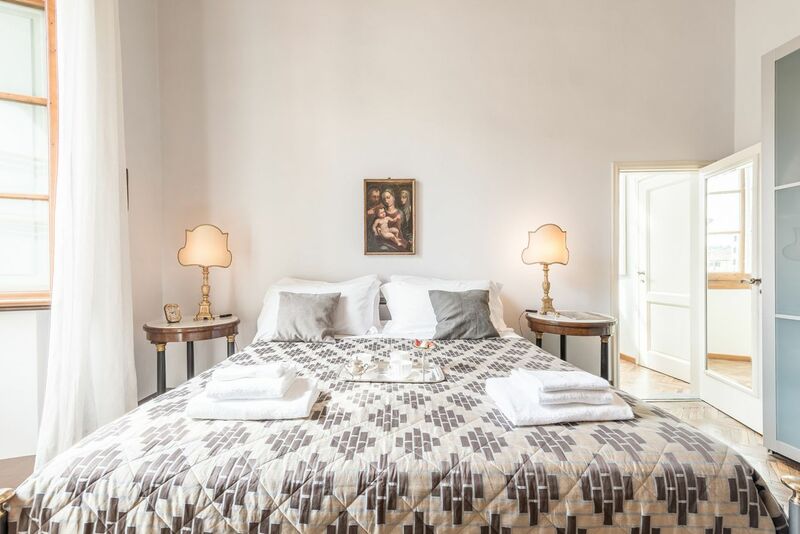 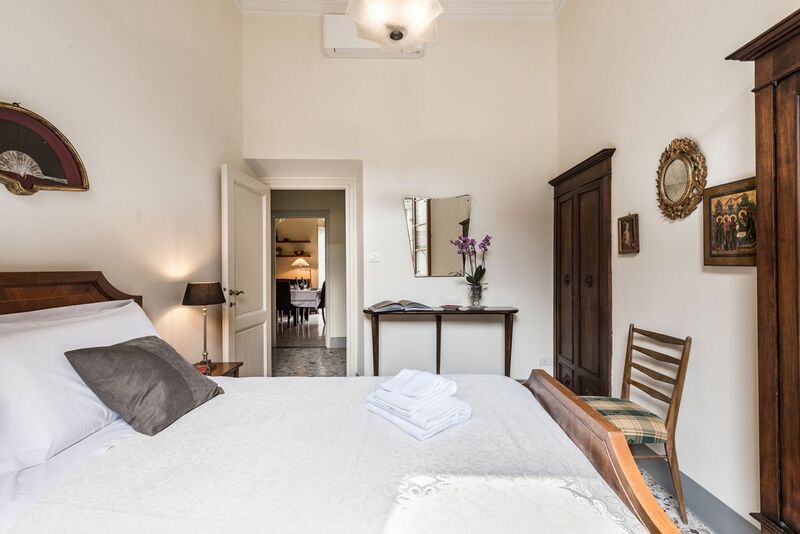 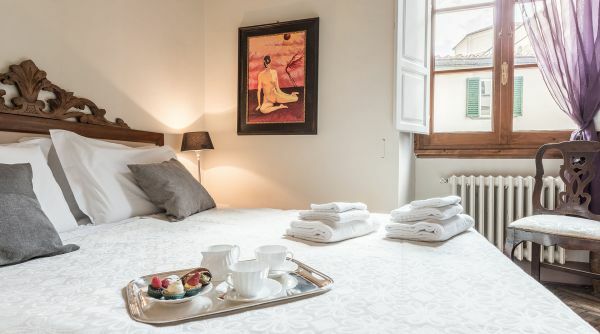 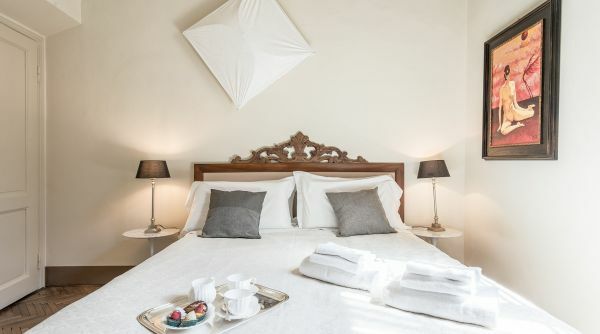 Located in one of the most authentic and quiet areas of the city it can accommodate up to 7 guests. 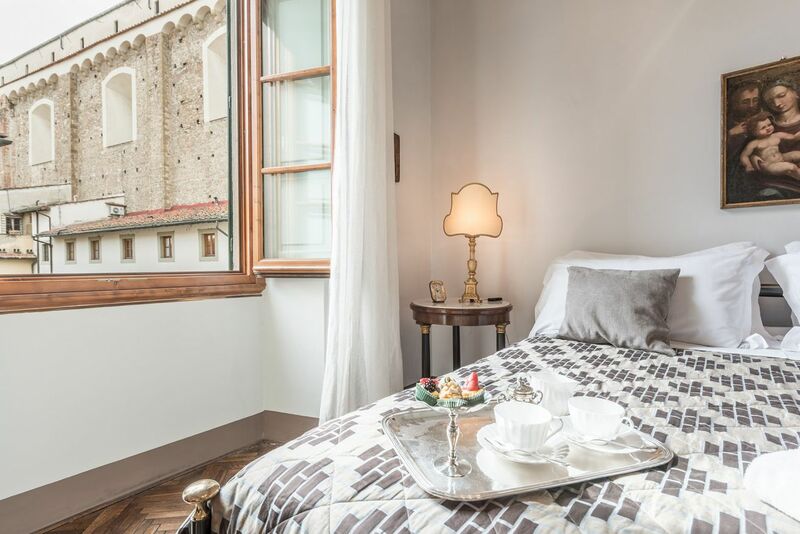 Precious floors and furniture as well as the sought-after furnishings and spacious spaces create a perfect and cozy setting, an ideal place from which to start to enjoy the city's beauties. 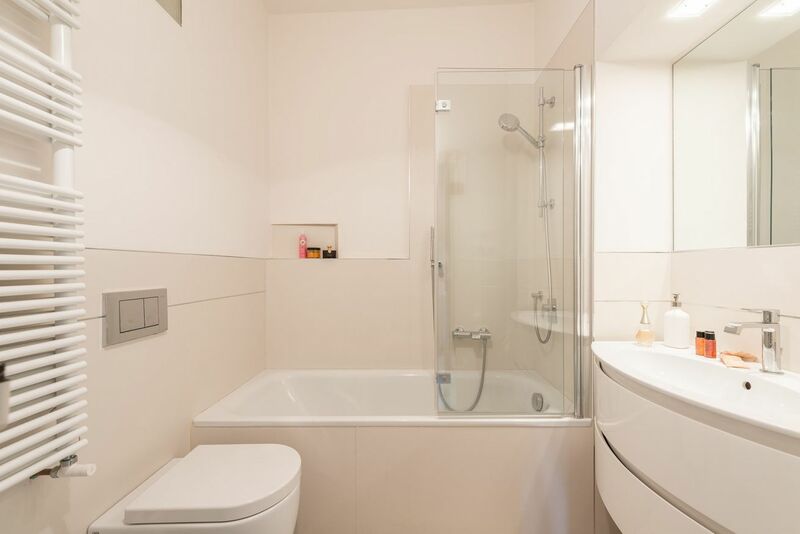 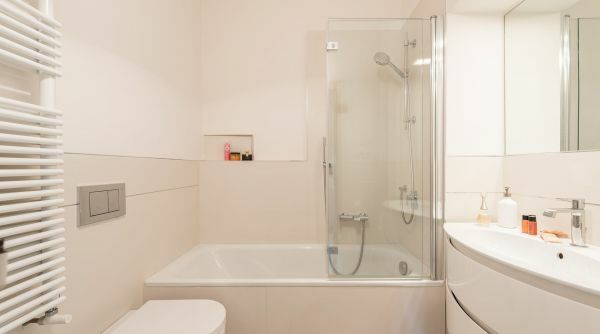 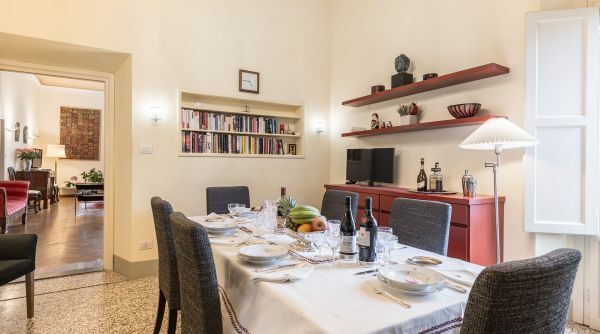 The house cosists of 4 bedrooms (3 double and 1 single), two full bathrooms (one with shower and one with bathtube/shower), an equipped kitchen and wide living room with comfortable sofas and TV. 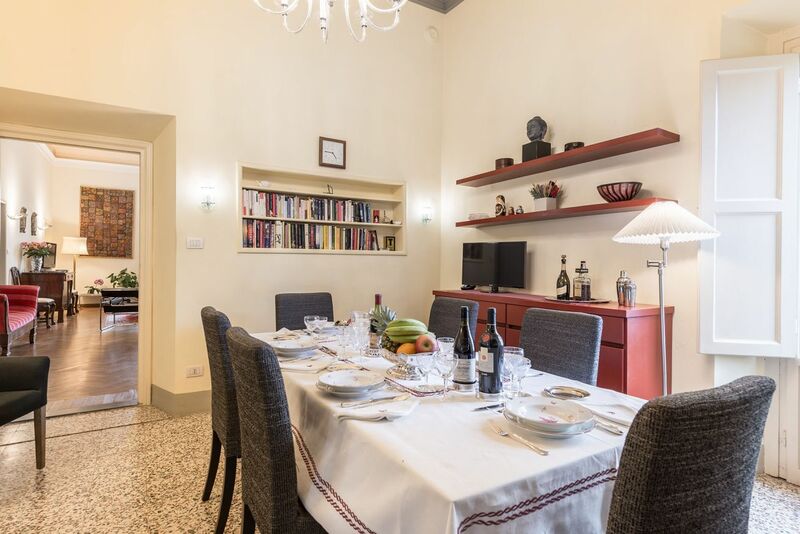 A classic and very classy house with many comforts as the air conditioning, internet Wi-Fi and independent heating. 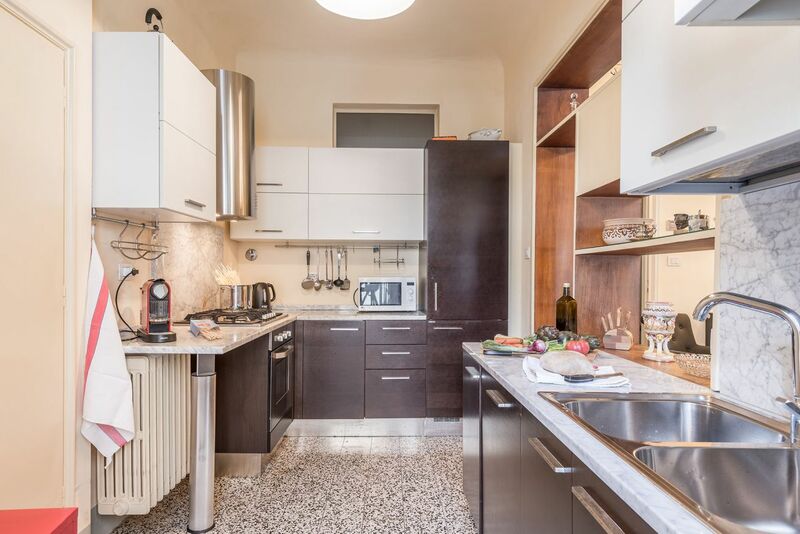 Ideal for group of friends or large families. 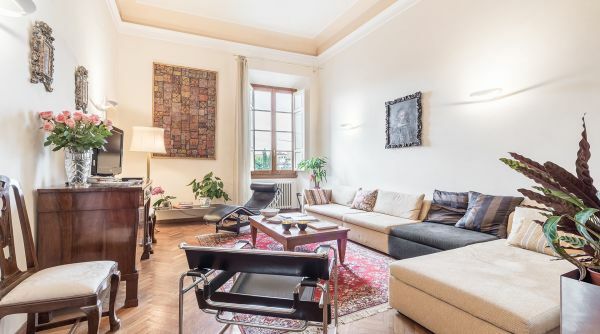 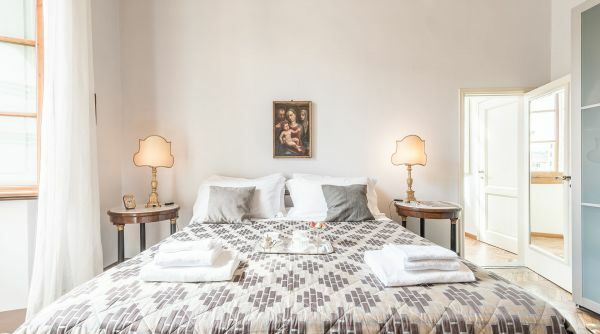 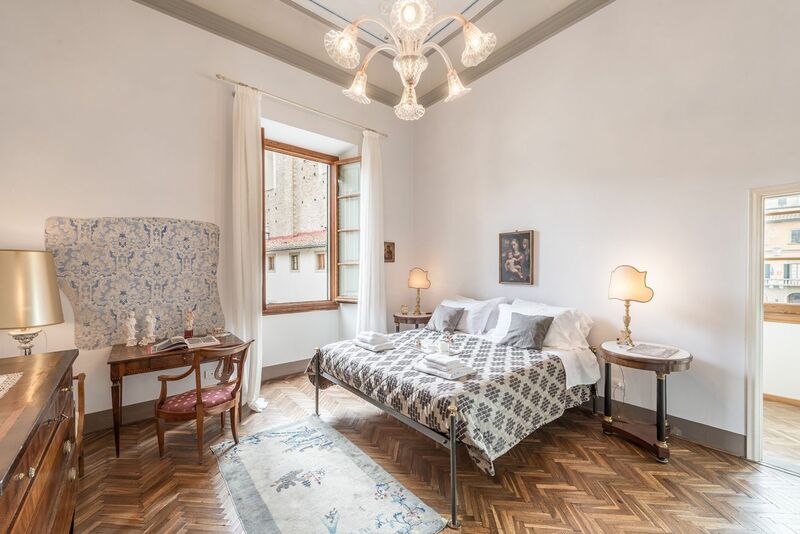 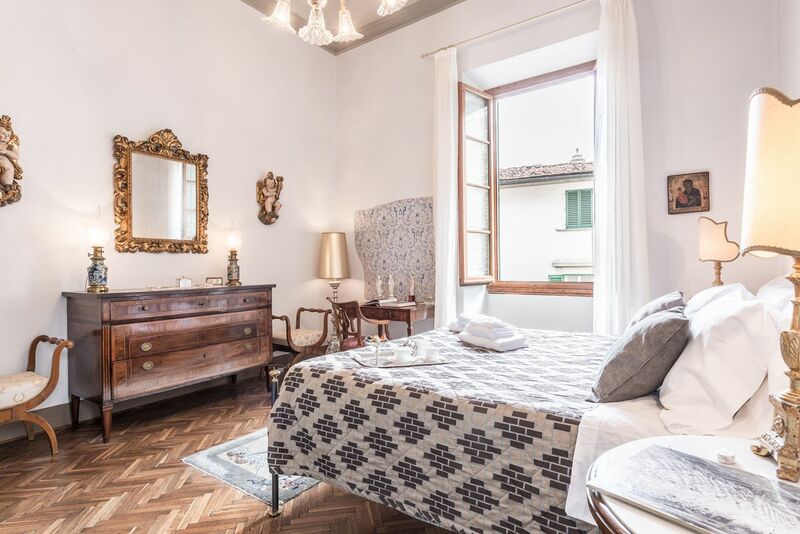 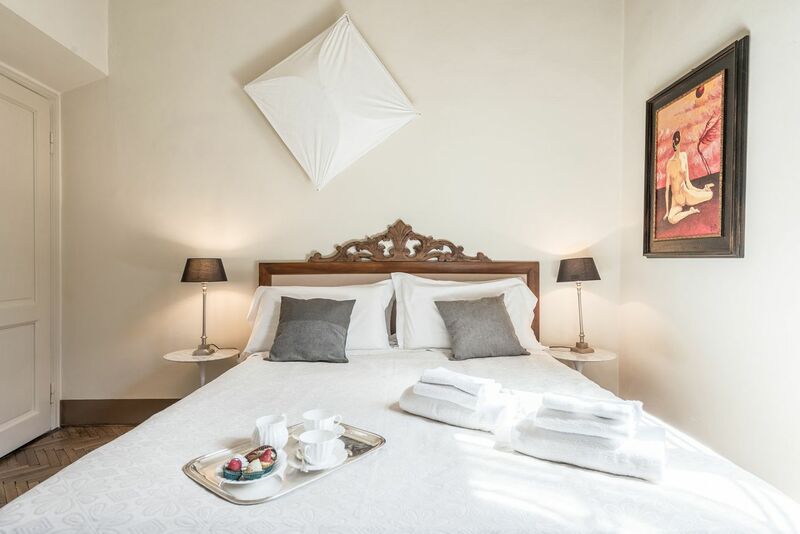 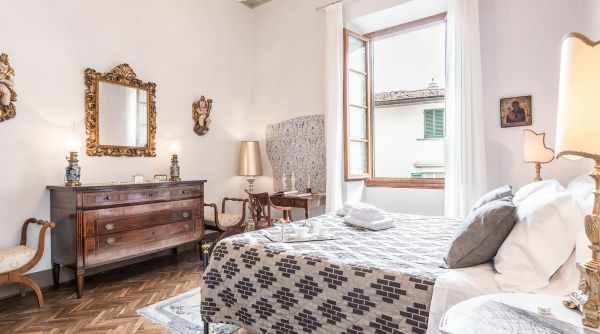 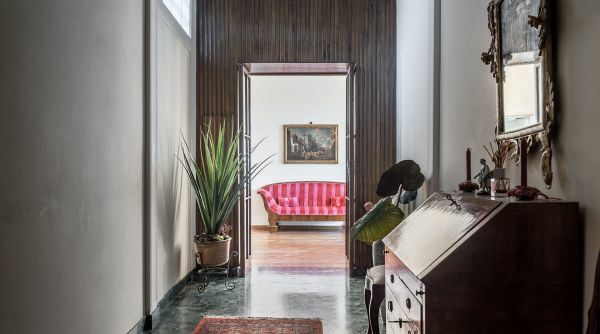 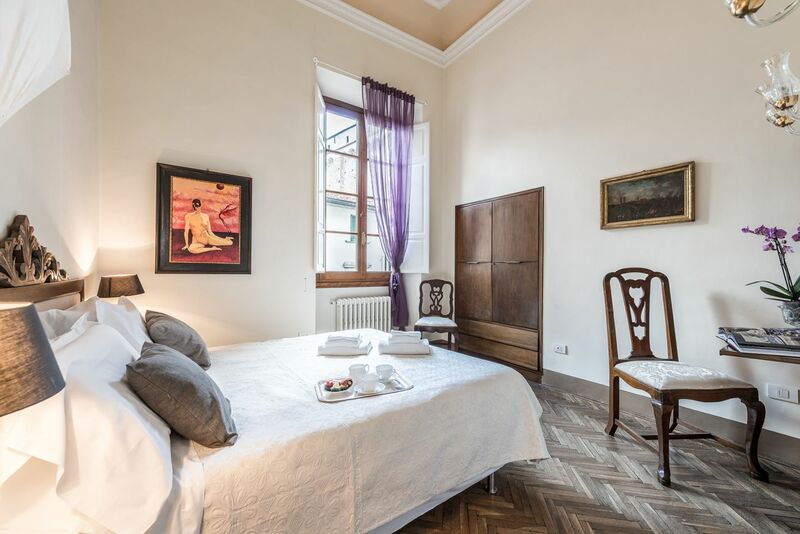 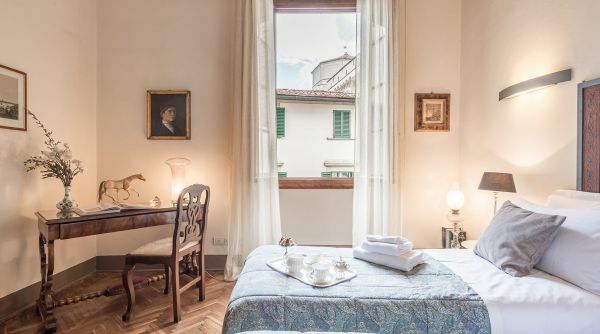 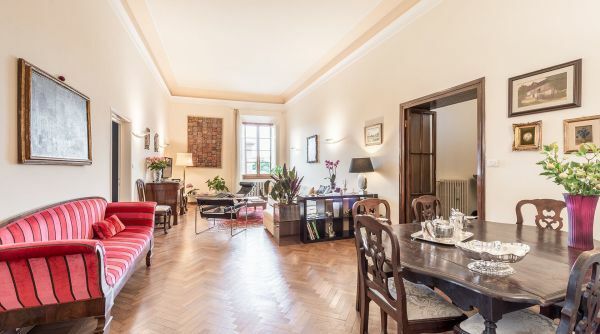 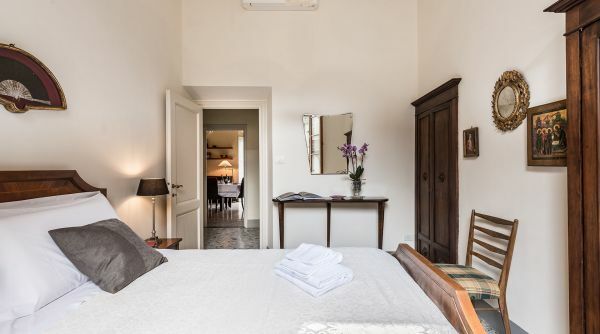 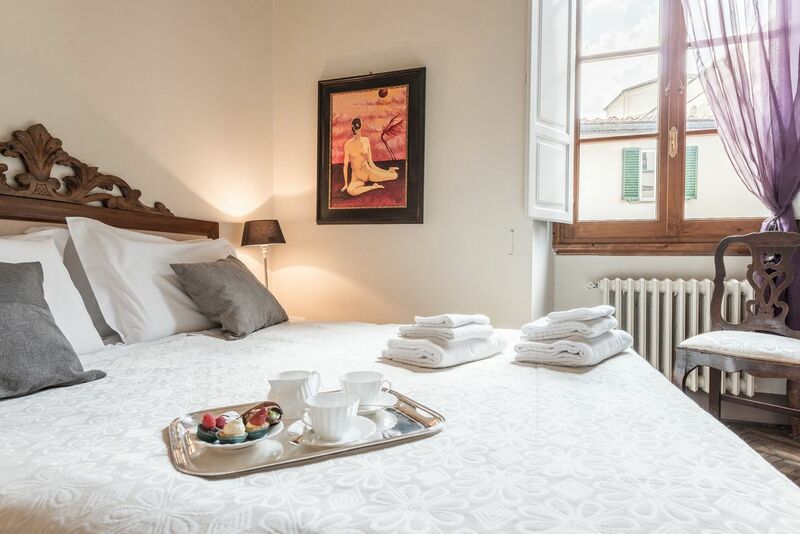 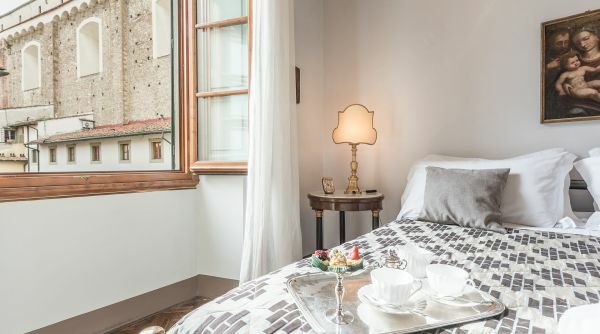 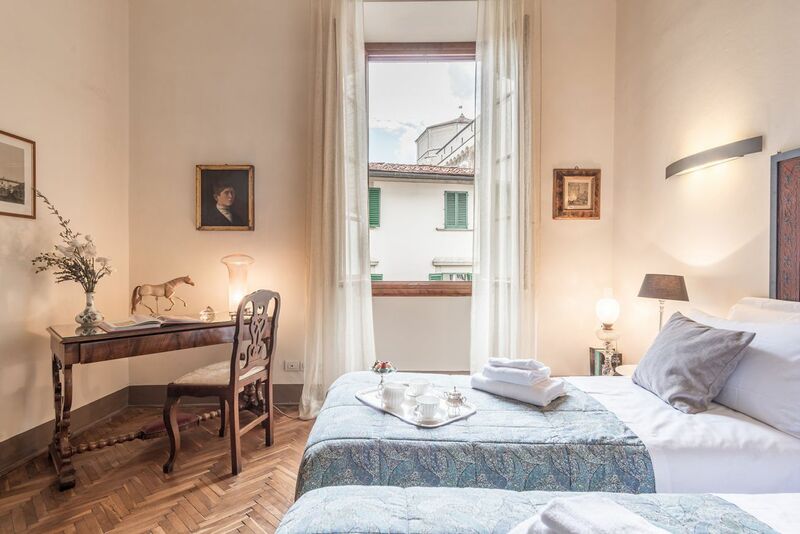 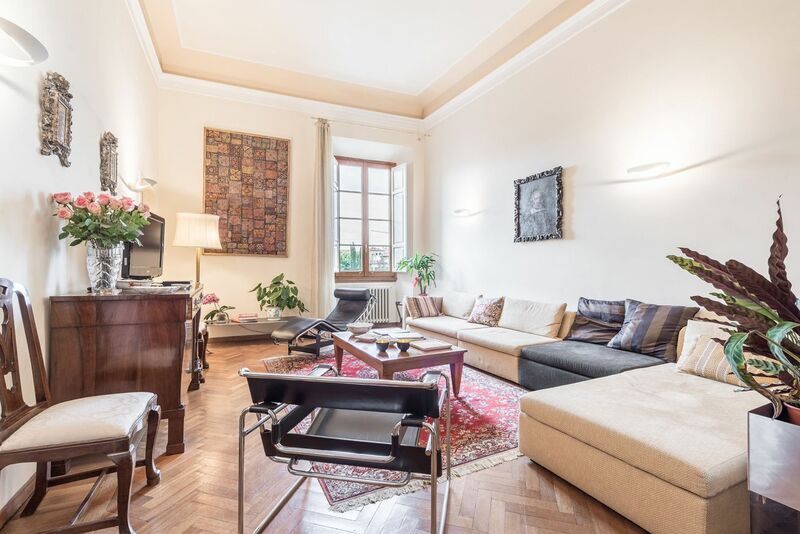 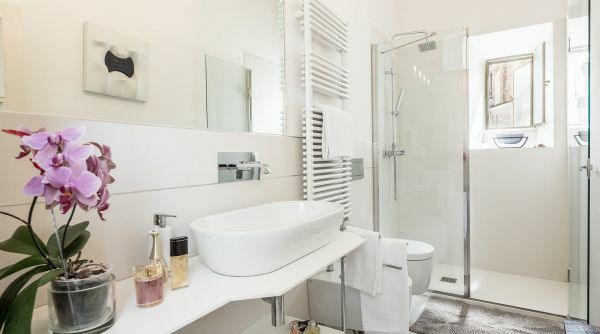 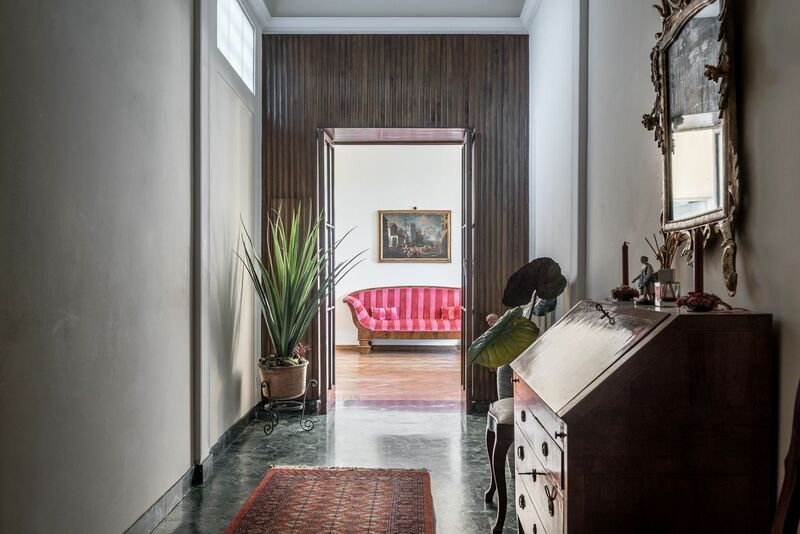 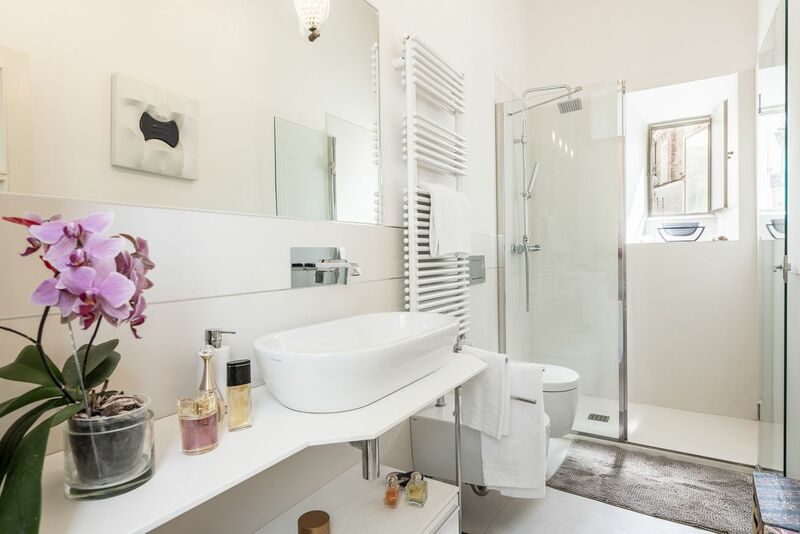 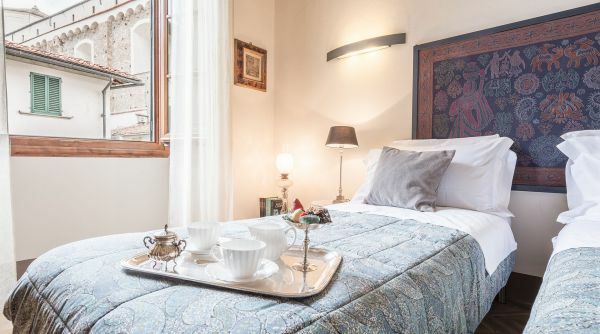 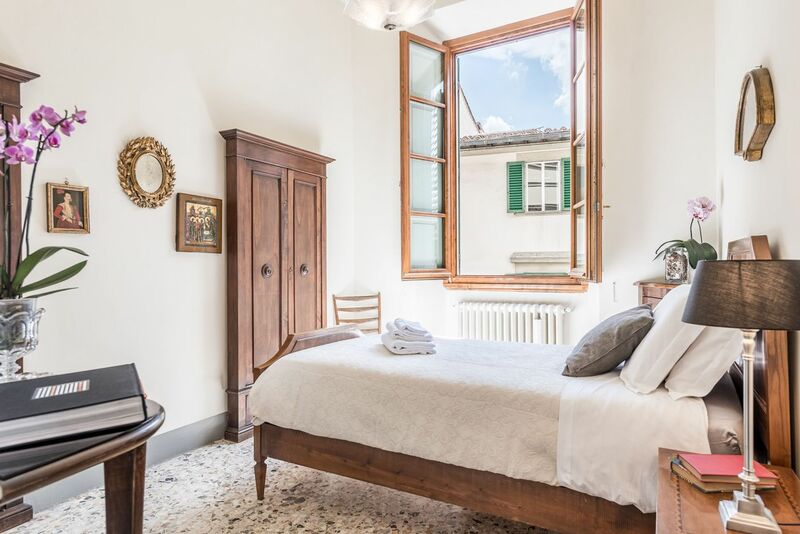 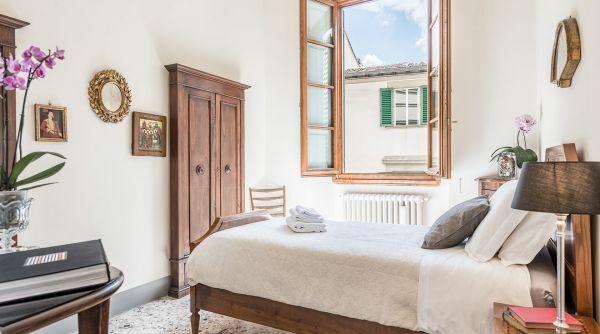 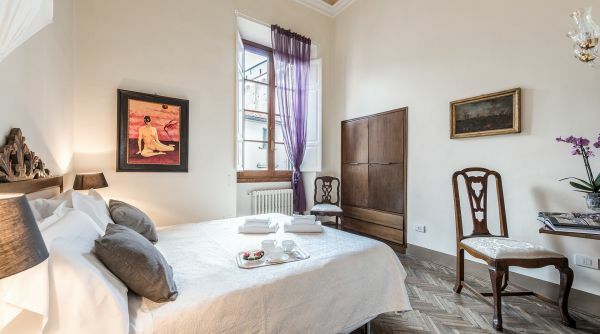 A big classy apartment overlooking the beautiful piazza del Carmine in the heart of the neighborhood of Borgo San Frediano, one of the most beautiful area of the city centre of Florence. 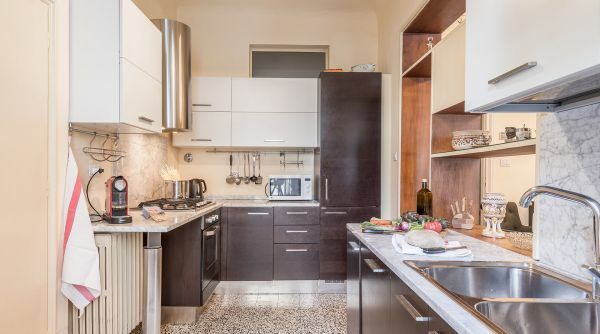 This is a very lively district where you can discover the real Flroence. 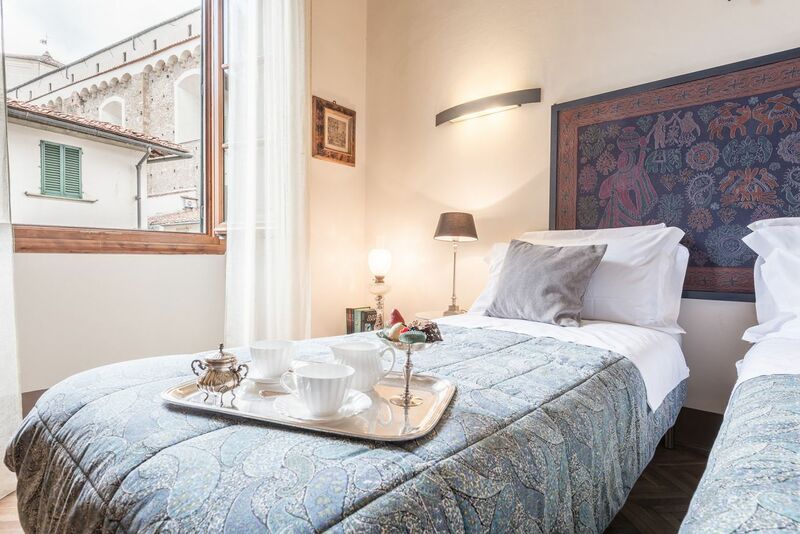 Around the House you can find some historic shops and many places to spend pleasant evenings with friends. 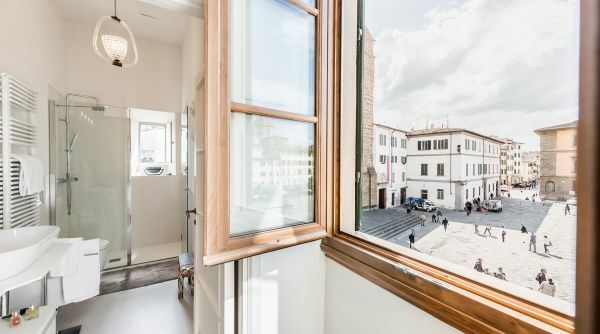 From here you can quickly get to all the main attractions of Florence, especially those located in the so-called Oltrarno (beyond the river Arno), as the cathedral of Santa Croce, Palazzo Pitti and the magnificent Boboli Gardens. 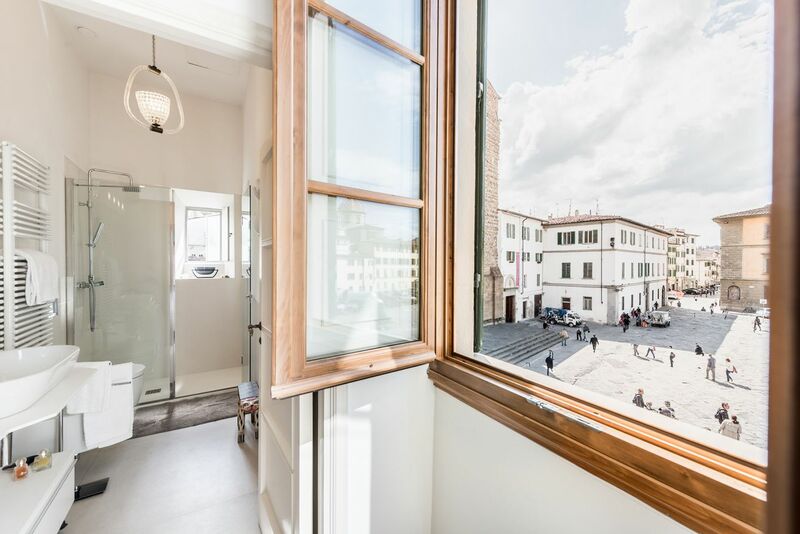 From the main train station of Firenze, Santa Maria Novella, you can get a bus, lines 6 and 11 by ATAF.